We maintain some of the strongest financials in the industry along with our OEM partners. We are focused on sustainable growth in the solar industry as measured by our comprehensive strength benchmarked against our (and our OEM partners) market share, profitability and supply chain, among other indicators. The sun is the world’s most abundant energy resource. Solar power plants offer a clean alternative to traditional power plants and pay for themselves over time. 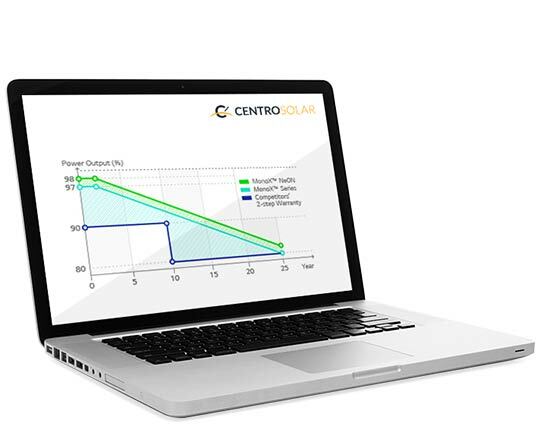 We guarantee module output will not decrease by more than 3.0% the first year and 0.7% for each year thereafter and guarantee at least 90% performance by year 10.